Guatemala is a Central American republic whose main population identifies as mestizo but which numbers many indigenous Indians among its inhabitants. The territory of modern Guatemala once formed the core of the Maya civilization, which extended across Mesoamerica. Most of the country was conquered by the Spanish in the 16th century, becoming part of the viceroyalty of New Spain. Guatemala attained independence in 1821 as part of the Federal Republic of Central America, which dissolved by 1841. According to the 2010 Census conducted by the National Institute of Statistics (INE), about 41.5% of the population is Mestizo (also known as Ladino), reflecting mixed indigenous and European heritage. A similar proportion of Guatemalans (41%) are of full Amerindian ancestry, which is among one of the largest percentage in Latin America, behind only Peru and Bolivia. 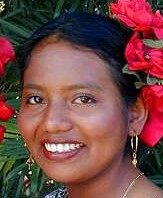 Most indigenous Guatemalans are of the Maya people. Guatemalan Mestizo represents 200 unrelated individuals living in the state of Guatemala who were sampled in 2006 by the Universidad de Granada, Spain. Source publication: Guatemala Mestizo Population Data on 15 STR Loci (Identifiler Kit), JFS, 2006, p1216-1218.